Kids’ Orchestra and City of Baker School System celebrate the expansion. 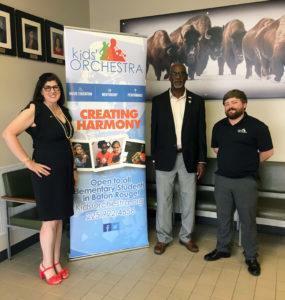 From left, Jody Hanet, Executive Director, Kids’ Orchestra; Dr. Herman Brister, Superintendent, City of Baker Public Schools; and Sam Trevathan, Education Director, Kids’ Orchestra. 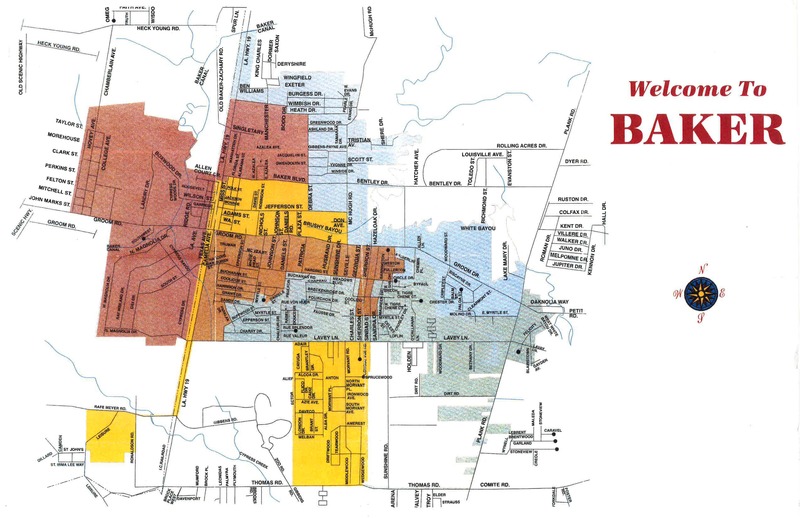 Baker, LA (August 3, 2018) – Starting this fall, Kids’ Orchestra is expanding into Baker, launching a new site at Park Ridge Academic Magnet School (PRAMS). At Kids’ Orchestra, every school partner has different needs, we strive to create programming that can be tailored to fit every school’s needs while maintaining the high quality of musical training and enrichment that Kids’ Orchestra is known for. PRAMS will be a part of Kids’ Orchestra’s traditional program model. Kids’ Orchestra will offer two foundations classes for K-1 students. The foundations classes emphasize creativity and play through general music concepts. Students engage through singing, dancing, storytelling, age-appropriate instruments, musical activities, and games. Classes will be held Monday and Wednesday from 3:30 p.m. to 5 p.m. Students will receive a healthy snack, mentoring and homework help prior to an hour of group music lessons. Kids’ Orchestra students perform in at least two informal concerts/year and are invited to perform at select community performances throughout the year. Initial feedback is promising! PRAMS faculty, staff, and families have shown great interest in our program and we are happy they are joining as one of our partner schools. We look forward to further expansion to other communities throughout Louisiana. To inquire about Kids’ Orchestra expanding into your school or community, please contact Sam Trevathan, Education Director, at strevathan@kidsorchestra.org or (225) 922-4656 ext. 103.